In adult-world, Valentine's Day comes with a variety of mixed emotions, usually depending on your relationship status. These emotions can range from being a lovey-dovey, sentimental mess, to falling into the depths of despair, and shouting into the void "WHY AM I SO ALONE?" In kid-world, however, Valentine's Day means one thing and one thing only: Candy. It's everywhere! Red, heart-shaped boxes of chocolate line every grocery store aisle, candy hearts fill every Valentine at school, and there is an abundance of cookies not seen since the holiday season a whole month and a half before. For a kid, Valentine's Day is a sugary heaven. To help you find a fun way to engage your kids (and ward off their sweet tooth) this Valentine's Day, we've found the perfect project! Valentine-Themed Apple Sandwiches. So, with no further adieu, let's round up your kiddos and get craftin'! 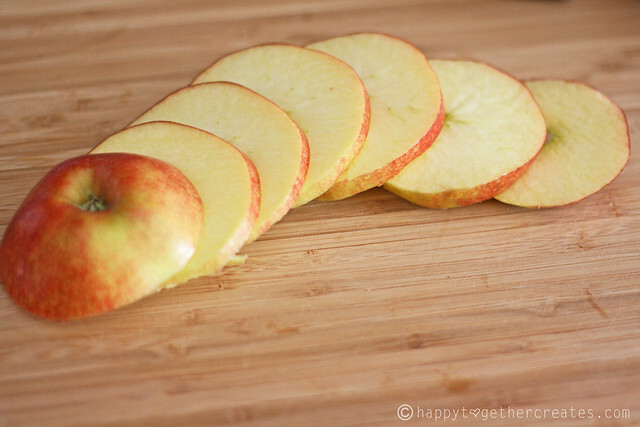 Wash and dry apple, and slice horizontally to create apple circles. Discard bottom and top pieces. Use the heart-shaped cookie cutter to remove the core from each slice, and leave an adorable heart in its place. Prepare your kiddo's work station by filling up small bowls with peanut butter, granola, and chocolate chips. Get to creating! Spread some peanut butter on your apple slices, and have fun sprinkling or arranging the toppings. Top off your creation with another PB-covered apple slice, and you have yourself an apple sandwich! My hope is that your youngin's are now filled up with enough fresh fruit and Superfood PB that they'll forget all about their Valentine's Day candy stash hiding on top of the refrigerator. (One can dream, right?) Happy Valentine's Day!